Mostly everyone who chats on the avatar collectors board knows the game of Avatar Survivor. The rules are to post with an avatar that best matches the theme the host gives. The players then vote off the user with the least matching avatar. This is repeated until one person is left, and the winner is crowned. Usually you play with 5 to 10 Neopians. Each game usually is around 30 minutes long, and loads of fun. Well, now there is a fun new game for customization fans; Customization Survivor! CS for short. 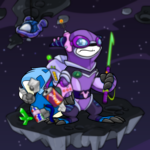 Users can dress up their Neopets with Neopoint items, along with Neocash items. The rules are pretty much the same as Avatar Survivor, but it involves dressing up your pets to match a theme instead of choosing avatars. The first ever game of Customization Survivor was to be played in the Customization Chat. Nobody came. Nobody liked it. Nobody would care. The boards were slow. The entire operation was cancelled. Maybe this wouldn't be a hit after all. Maybe... it was just another failed idea. I forgot about it... But then, the event happened. Aha! I finally had a participant! Within minutes, I had enough for a game – or two! The first game of Customization Survivor was about to start. I gripped my computer mouse in anticipation. This may be a huge hit! As players were gearing up, I decided to pick out a topic. "Hmmm," I thought to myself, "Maybe I should go with a theme that has been rarely used." I went with the topic, "Small, but vicious". Then it happened. People there were finally getting tough and aggressive about their pets, racing to throw on items. The first game was played by Jake (Jake25555), Luke (Lukereguba), Haet, Kat and Pann. Luke ended up being the winner. She had the flare and the mind of a true Designer. I won the second game. The most exciting game yet. The toughest competition. The fiercest enemies. The most players. The next game was won yet again, by Luke, The Fashion Champ. I was surprised to see what a success my game was. We had a whopping total of over 500 posts and 25 pages of replies! The board was eventually locked and deleted because of too many replies. Maybe this would result in customization being more popular, or maybe inspiration for more games for the Neoboards. Hopefully it would make some change to the site... a good one. I know how popular Avatar Survivor is – with about 1 game or more going every hour. With the future looking dull, I wondered, "Now how could I get this more popular?" I have tried the boards, one success, one fail. Maybe I could write a page about this or even better, a Neopian Times article! Even better! Yes, yes that would be a great way to spread the word! Many users look in the Neopian Times! Why didn't I think of it before?! And so, a story to be remembered, was born! What at first no-one came to has grown into a worldwide Neopian craze. Well, we feel that the roots of this game may go even further. As the first avatar survivor roots, years ago. Maybe someone had an Idea like the CS game before, but it just never got out, or was never documented. So whenever you feel that you were crazy at the Clothes Store, whenever you blew all of your money on Neocash, whenever you are disappointed at losing the Customization Spotlight, don't go into an "everything must go" sale. Don't waste your NC gift boxes. Don't go into depression. Just remember, with great closet space comes great closet fun! Grab a few Neofriends or guild members and start a game! Heck, why waste your time lurking through the boards, when you can get involved and participate in a Customization Survivor! You may even meet a few interesting people and make friends along the way! If you are puzzled, we have some tips below. Now, more and more people are creating these games and the Customization Chat is as hectic and active as ever while you are reading this very article! Surpluses of people are enjoying adding flair to their pets. The customization chat is getting very aggressive. More and more people are paying more attention to what their pets look like. But let's not forget the roots of this awesome game. Let's not forget the first game started by Waterglide. Let's not forget the first winner. Let's not forget. ~ Have fun! Remember, it doesn't matter if you win or lose. Good sportsmanship is what counts! ~ Play your best! Don't give up just because someone supposedly has more items for Neopoints than you! You never know, you could end up winning! ~ Stuck on a topic? There are many topics to choose from. Some of the most popular are – Winter, Summer, Sports, a Neopian place theme, Spooky, Cute, or Faerie. One or more of these topics can get a good game started! 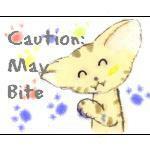 ~ Not good at customizing pets? Not everyone can be a fashion star. There are a few pages out there that can give you tips. Maybe ask a friend for advice. Just remember to have fun playing! ~ You don't need to have Neocash to play! Sure, Neocash items can make your pet look spiffy, but that doesn't mean there aren't good Neopoint items out there! Some items you can get are; Volcano Run II shoes, Moon and stars background, Melting ice cube, various species specific clothing and much more! ~ You don't have good Neocash items? If you have Neocash gift boxes available, go to the Customization chat and see if anyone would trade with you. This is a great way to obtain cool Neocash items. Well, this concludes our little article about Customization Survivor! Get over to the Customization chat and get a game started right away!